William Wegman first photographed Man Ray in the 1970s. 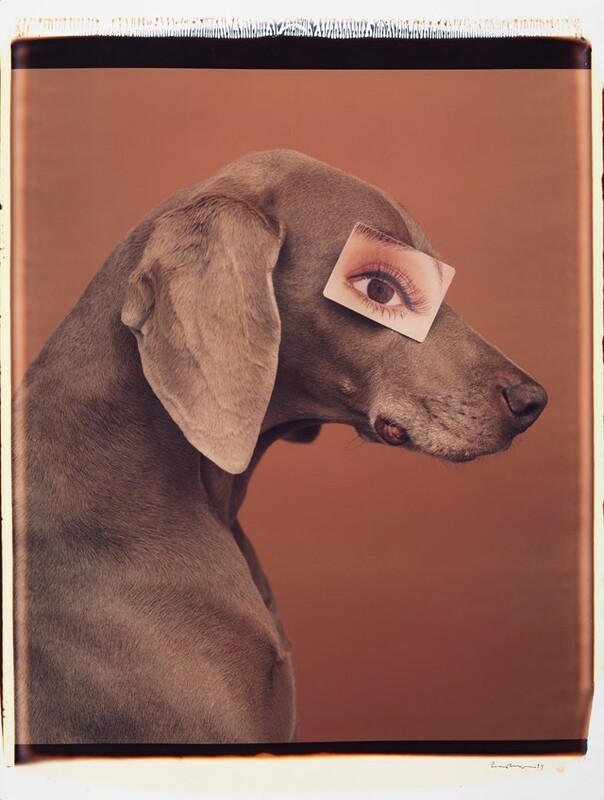 For these photographs, however, it was not the storied Surrealist artist that Wegman captured on plinths, at the kitchen table and in various articles of clothing, but rather his Weimaraner, who he had named after Man Ray. A recognisable character in Wegman’s playful photographs and video art, the dog Man Ray became a beloved character on the contemporary art scene. (Indeed, Wegman told David Letterman in the early 80s that when the artist Man Ray died in 1976, he fielded telephone calls of people offering remorse with “no, it was the artist, not the dog”.) 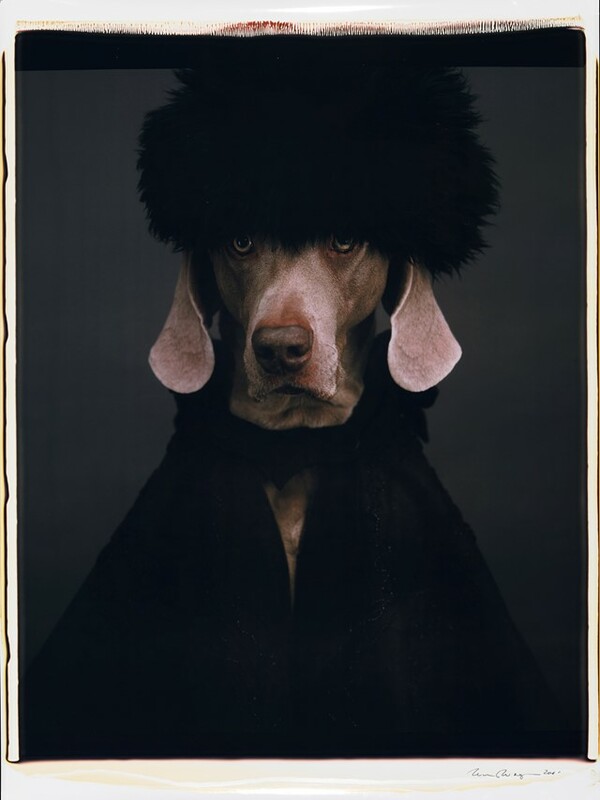 This silver-grey dog was the first of that breed Wegman had owned, and three decades later the American image-maker has become known for his extraordinary photographs of his pet muses – many of whom have descended from Fay Ray, the second Weimaraner Wegman owned and photographed following Man Ray’s death in 1982. Each hound that Wegman has photographed since takes on a majesty through his lens, thanks to both the breed’s natural poise and striking features and the irreverent props and costumes that the photographer regularly introduces to the frame. Polaroid images – the company had offered the use of its new 20 x 24-inch camera to artists such as Wegman, Andy Warhol and Chuck Close – of Man Ray, Fay, Battina, Chundo, Crooky, Bobbin, Penny, Flo and Topper, taken between 1979 and 2007, are to be displayed this week for the first time in the UK, depicting the dogs in wigs, coats and dresses, on plinths and collaged. There is an absurd and amusing humanity to Wegman’s Weimaraners, who turn their attention to the camera with captivating calm and grace (if not the most minute hint of apathy in their distinctive blue eyes). Naturally photogenic, it’s no wonder these dogs have emerged as some of photography’s most admired subjects. 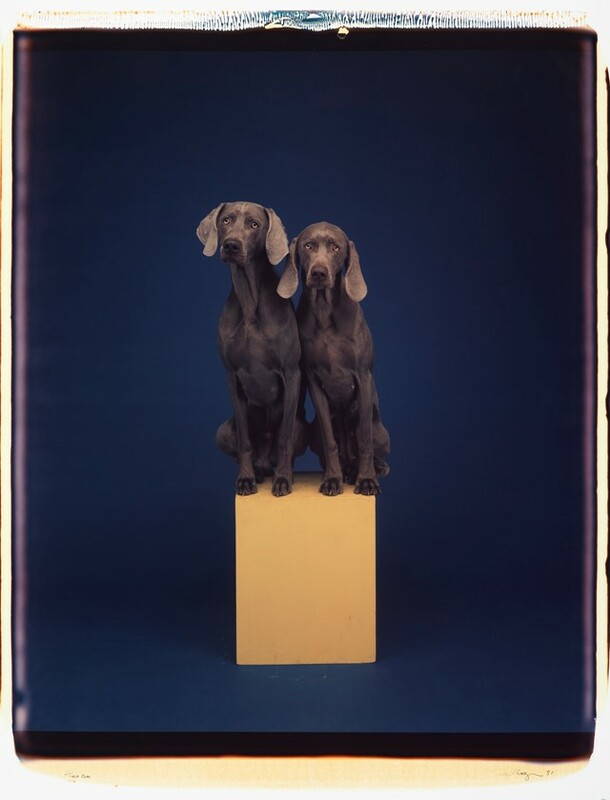 William Wegman: Polaroids is at Huxley-Parlour, London, from September 26 – October 20, 2018.